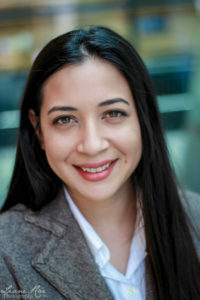 ANN ARBOR – Diversity in the social and behavioral sciences just got a big boost from the Bill & Melinda Gates Foundation, which is pitching in $148,500 to help bolster the Inter-university Consortium for Political and Social Research (ICPSR) Summer Program Diversity Initiative launched in early 2018. The new award will help underrepresented graduate students enhance their methodological skills, and increase the likelihood of academic success as they pursue careers in the social and behavioral sciences. 2018 Diversity Scholars (front row, left to right) Megan Mikhail, Alexandra Vazquez, and Christopher Webster attend the workshop “Multilevel Models I: Introduction and Application,” taught by Mark Manning. “We’re excited to be able to offer these awards,” said ICPSR Summer Program Director Saundra Schneider. “I truly believe that these awards will provide invaluable methodological training for the recipients, as well as facilitate a richer environment for the entire Summer Program community,” she said. The funding allows the Summer Program to build upon existing scholarships sponsored by the University of Michigan and the U-M Institute for Social Research. The Gates Foundation funding will support both incoming and continuing graduate students from underrepresented groups to make their participation in the Summer Program more possible, Schneider said. ICPSR is also taking steps to diversify its instructional staff and provide stepping stones for students into positions of leadership, Levenstein said. In 2018, half of ICPSR’s teaching assistants were female and a quarter were people of color. 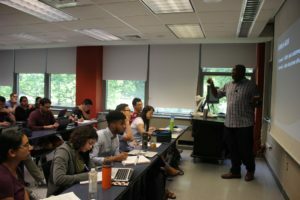 So far, the ICPSR Summer Program Diversity Initiative has provided support for 15 students to attend one or both of the four-week sessions in the 2018 ICPSR Summer Program. Scholarship recipients were from institutions including the University of Michigan, Michigan State University, University of Chicago, and City University of New York. “This program is a great fit with ISR’s Diversity, Equity, and Inclusion initiative and our commitment to training the next generation of social scientists,” said ISR Director David Lam. Now, the program will be able to support 15 additional students. Two recipients of the 2018 Diversity Awards said attending the ICPSR Summer Program was important to them. 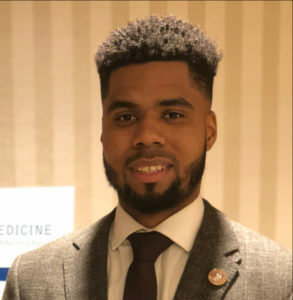 Christopher Webster is a first-year PhD student in Clinical Psychology at Michigan State University whose research interests focus on emotional regulation techniques for police officers, firefighters, and other workers who experience trauma in the course of their jobs. For Webster, the Summer Program provided “a way to get a head start on the statistics that I will be using. I’ll gain these tools now so that it makes my life easier.” A major milestone for Webster during his time at the Summer Program was “figuring out R,” the statistical programming language. The ICPSR Summer Program will begin accepting applications for the Diversity Initiative Scholarships in early February 2019. Please refer to their Financial Support page for more information about how to apply.